Hans Zimmer (far left) with contest winner Daniel Suett, Bleeding Fingers CEO Russell Emanuel and Chairman Steve Kofsky. Remember the name Daniel Suett, because it might not be long before you see him accepting a major televised award. Suett, a 2012 member of the Blue Stars, was recently named the winner of "Hans Zimmer Wants You," a contest run by a California studio that creates music for television shows in conjunction with the Academy Award-winning composer for whom the promotion is named. A few months ago, Suett entered the contest put together by the Bleeding Fingers Custom Music Shop, a new creative partnership between famed Hollywood composer Hans Zimmer and Sony/ATV's Extreme Music that was developed to score for American television shows. The company resides in a brand new facility on Zimmer's creative campus in Santa Monica, outside of Los Angeles and has scored music for an array of popular television shows from CBS's "Survivor" to A&E's "Duck Dynasty." Of all the worldwide entrants, Suett was selected as a finalist along with a young composer from Sweden and one from Australia. Each was invited to Santa Monica to meet with Zimmer, three other film composers and both the CEO and chairman of Bleeding Fingers. Zimmer, who was at the focal point of the contest, has composed for more than 100 films, including hits like the "The Lion King," "Gladiator" and "The Dark Knight." For the contest, each entrant had to take a file of music written by Zimmer and re-arrange, remix or re-imagine the original in a way that best demonstrated his personal creativity. The three finalists were flown in to tour the Bleeding Fingers studios, meet Zimmer and the rest of the team, and interview for a position as a staff composer. 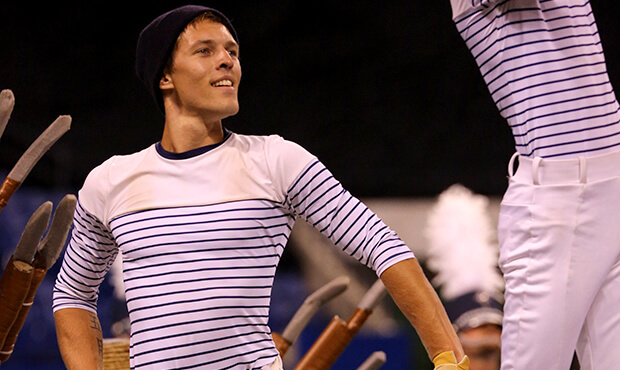 Daniel Suett performs with the Blue Stars at the 2012 DCI World Championships in Indianapolis. Chosen as the overall winner, Suett will soon become part of a team that writes and produces custom music libraries for American television shows. He is, of course, ecstatic but humble at the same time. "Even if nothing further came of this contest, just to get this feedback and response from these people at the top of the industry is the biggest compliment I have ever received," he said. "It has encouraged me to continue to learn and refine my skills as a musician." Suett, who is a graduate of Leeds College of Music in the United Kingdom, has long had an interest in music composition and held dreams of one day composing for television and movies. This was not forgotten during his short time as a member of the Blue Stars. He noticed that drum corps arrangements are designed to hit an emotional chord with an audience, just as TV and film scores are meant to do. Both music scores for drum corps and the media are designed to accompany moving images and engage the audience as much as possible. "I am proud to be a veteran of an organization that promotes such passion, skill, artistry and perfection from people of such a young age," Suett said. "The level of professionalism and musicianship that DCI groups showcase year after year is a testament to the impact they have on young performers." In his new role with Bleeding Fingers, Suett will be surrounded by some of the best television and film composers working today, and he'll also be exposed to countless others in other elements of the industry. He says the job is "like winning the lottery" and he deeply appreciates being able to say he will be making music for a living. Many will undoubtedly be looking for Suett's name in the ending credits of future television shows and movies, and when they finally see it listed, they'll know drum corps played a small role in getting him to where he's going in life. 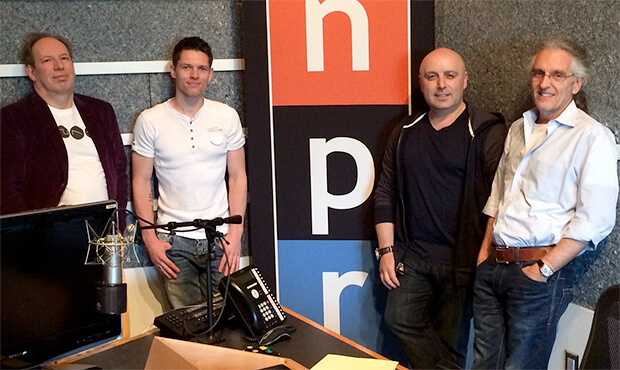 Listen to Suett Interviewed with Hans Zimmer on NPR.org.